It’s worth a trip to Naples if you love to eat, but especially if you have a sweet tooth. The secret to the city’s famous pastries lies in the combination of textures: …flaky crust, a bite of fruit, and soft cream, best when enjoyed warm and fresh. 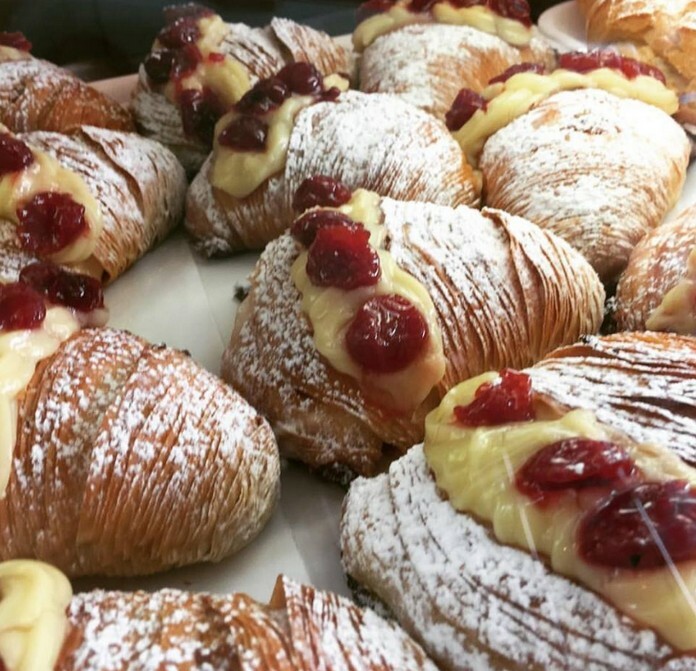 You cannot leave Naples without sampling the Neapolitan pastry—sfogliatella. 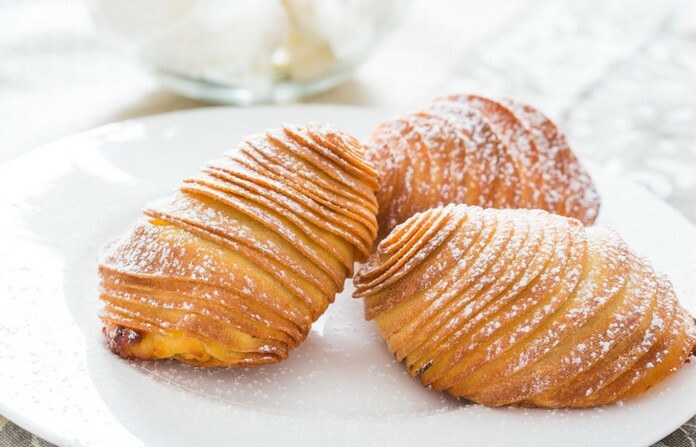 Sfogliatelle, literally “little leaves” in the plural form, are made by rolling out dough and forming it into a log, then trimming the ends so that the layers separate when baked, creating flaky “leaves.” Sfogliatelleare filled with cream and fruit and a dusting of powdered sugar. 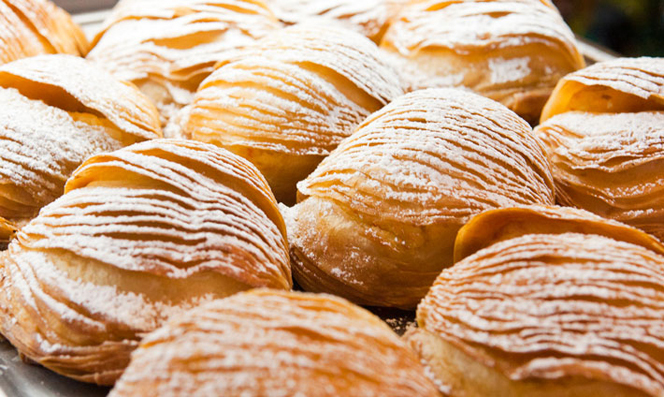 Today, sfogliatella stands chief among a group of Neapolitan pastries that have brought the city fame as a center for sweet treats. These include: • Baba au rhum: What’s not to love about a yeast cake soaked in rum syrup? This traditional dessert may be served plain or sweetened with cream, ricotta, or even Nutella. • Torta caprese: This flourless chocolate cake is a specialty of the island of Capri, just off the Neapolitan coast, and is usually made with almond flour and dusted with powdered sugar. • Zeppole di San Giuseppe: These fried or baked dough balls are typically stuffed with pastry cream, ricotta, or custard, and sometimes made with dried fruit. They are traditionally served on St. Joseph’s Day, March 19, which pays homage to this patron saint of pastry chefs.